We had a wonderful staycation in Manila. Since we were trying to maximize every dollar...eh...peso...we didn't end up at a beach. Since we live in an overcrowded Asian city, we weren't that excited about being out and about in an overcrowded Asian city (that is fun at times, but we just weren't in the mood). Enter a resort residence...it's a brand new place (actually still under construction, but most amenities are open) where there's a man-made beach and wave pool! Just what we were looking for. A reasonably priced place to stay with tons of entertainment options for the kids. I can get super anxious about a trip and try to plan every second and fret about hotel choices and food and, and, and...just as I began doing that, God put this verse in my path. "Be still, and know that I am God." So I stopped second guessing my choice of accommodation, stopped fretting about whether or not Violet would sleep in her pea pod, stopped worrying about getting my passport stolen, stopped anxiously imagining scenarios of being stranded without a taxi and I just stilled my heart before God. Thankfully, God had given me this word because a day before we left, we noticed a SUPER TYPHOON was storming through the ocean headed toward the Northern Philippines. All the weather reports said that the storm would weaken and become a tropical storm by the time it hit the Philippines and that Manila would only get a day of rain and gusty winds. I found out about it the afternoon before we left. What in the world? I found myself packing my bags to haul my three young children to an island where we could be stuck in the middle of a hurricane. WHAT?! the WHAT?! Friends on the ground said the storm wasn't a big concern. (up to 20 typhoons pass over the Philippines each year, by the way) I tried to settle my imagination as I packed, trying not to daydream about hunkering down for a storm in a hallway of a tall apartment building in a foreign country in the middle of the night with my little kids. Then, I remembered: BE STILL. We had this trip planned a long time ago. People on the ground and all the weather reports are not concerned. Trust God and go. So, we prayerfully went. One thing we kept mulling over was the fact that storms don't always do what people and computers expect them to. Manila was close enough to the path of the storm to be in big trouble if something crazy happened. We thought about canceling and just going on a daytrip to Korea so we could get our exit stamp, but we really felt God's peace in the situation. 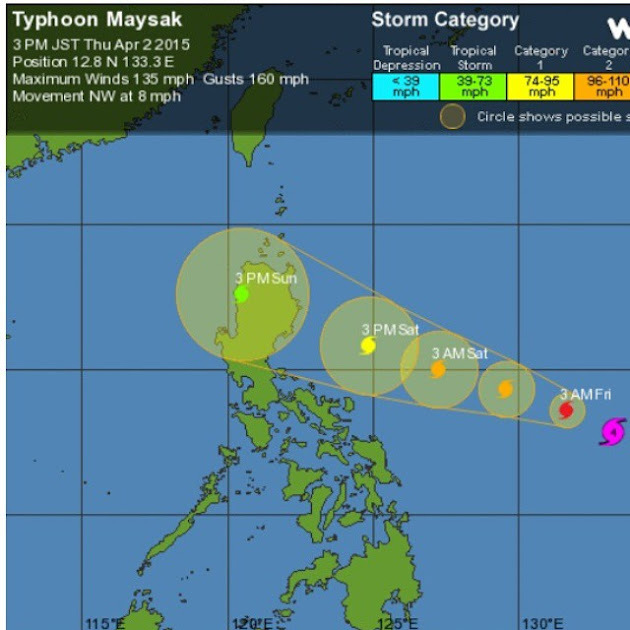 In the end, the storm ended up going even farther north (extremely best case scenario for us) and Manila was hardly affected. In fact, it was actually a blessing because temps were in the low 90s due to the passing storm instead of the upper 90s! I'm thankful for this amazing reminder that He is looking after us and truly guiding our paths. Even when it looks like we're flying into a hurricane, we can trust Him!